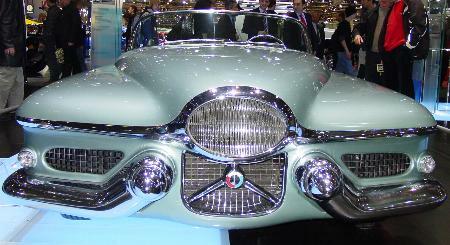 When Harley Earl, chief of GM-design, presented this dreamcar in 1950 it must have been like it came from another planet. 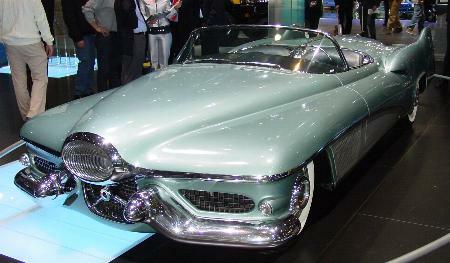 for example the first panoramic windshield. By using of lightweight materials, like aluminium, and cast of magnesium it was possible to keep the weight of the car very low, under 1400kg! 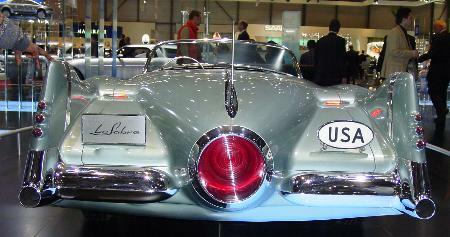 These pictures were taken at the Geneva Motor Show 2004.